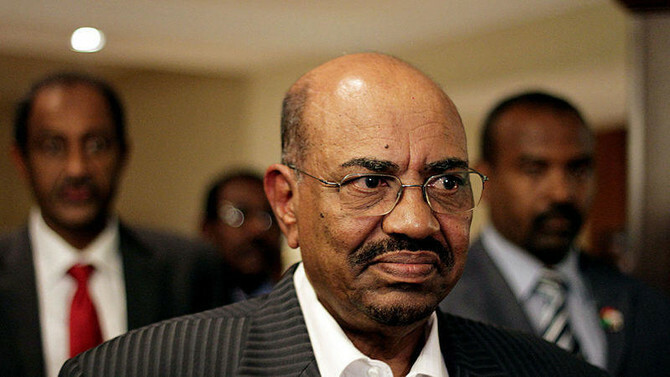 Sara Abdelgalil, head of the U.K. branch of the Sudan Doctors’ Union, told AFP that Bashir had tried to suppress women during the 30 years he has been in power. “This regime could not crush down women and women’s ability to fight for change and freedom,” said Abdelgalil, a doctor who moved to Britain in 2001 but is in contact with protest leaders. “Sudanese women’s resistance and resilience overcome this suppression,” said the 44-year-old. Protests in Sudan against the government’s decision to triple the price of bread began on December 19 in the central town of Atbara, quickly spreading to the capital Khartoum and other towns. The Sudanese Professionals Association (SPA), which the doctors’ union is linked to, is leading the protests. Nemat Malik, an 80-year-old nurse and a university professor in Khartoum, said she was pleased to see so many women — particularly students — taking part. Sudan adopted sharia law in 1983, but since then has only implemented it randomly. Under Bashir, who came to power with the help of Islamists in 1989, some rules have been tightened. According to Sudanese non-governmental groups, some 15,000 women were sentenced to flogging in 2016. Ihsan Fagiri, 65, a doctor who also teaches in Khartoum, said she was detained for two and a half months by Sudanese security forces to keep her away from the protests. Fagiri said she was held with nine other women in a room measuring six metres by four with only five beds. She suffers from diabetes, but was not allowed treatment for 15 days and could not see her family for a month. “My son thought I was dead,” said Fagiri, who in 2009 co-founded a campaign group for women’s rights. At their conference in London, the Sudanese medical professionals alleged that security forces have stormed hospitals and fired at injured protesters. But participants said they were encouraged by events in Algeria, where president Abdelaziz Bouteflika resigned last week after two decades in power following massive street protests. “What happened in Algeria is exactly what we are calling for,” Abdelgalil said, noting however that Algerians “have not been subjected to violence and human rights violations and killings and detentions” during the protests. “The government has collapsed. All they depend on is the security forces,” alleged Abdelgalil. Fagiri added: “It’s a matter of days or weeks”.